Get more out of your mane with these black hairstyles for long hair. Are you in need of new hairstyles for long black hair to try? So many of us aspire to have long hair but few of us know how to really make the most of our lengths. Whether that’s because we’re short on styling inspiration or we’re put off by ultra complex styles requiring superhuman ambidextrous skills, we’re sticking to our usual roster of styles instead of trying anything new. That’s why we’ve gathered our favourite pretty, but (even more importantly) hassle-free, long black hair styles to give you ideas for ways to wear your precious lengthy mane. Natural, relaxed, locked or braided hair, these looks will guarantee you a fantastic hair day every time. Editor’s tip: Baby hairs taking away from your slick pony? We’d recommend using the VO5 Frizz Free Cream on damp hair after you’ve washed it to control the frizz and give more of a shine. You can use it on dry hair too, so it’s a good one to keep with you while you’re on the go. Sometimes you can’t be bothered to do anything too complicated to your hair but you still want to give off the illusion that you’ve tried. That’s where half-up, half-down hairstyles for long black hair shine. You can either keep it basic with a half-up pony, work it into a braid or even try out the insta famous half-up bun. Play around with different variations! 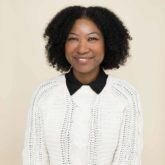 You’ll know that natural hair can be a little uncooperative at times, so if you’re looking to give your curls a bit more definition and uniformity, braid-outs will change your life. 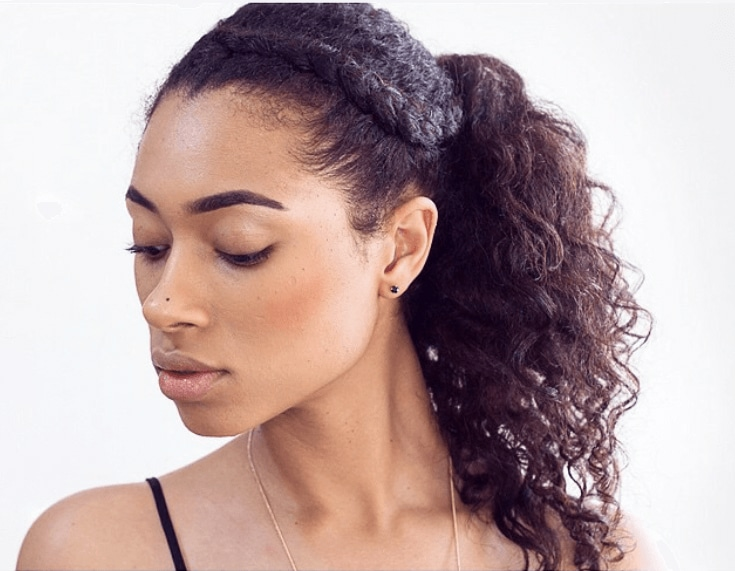 By wearing your hair in braids overnight and releasing them in the morning, you’ll be left with sleek curls that are all the same size and pattern. Even better, it’s completely heat-free! Tempted to try it out? Here’s our tutorial on how to do a DIY braid-out. 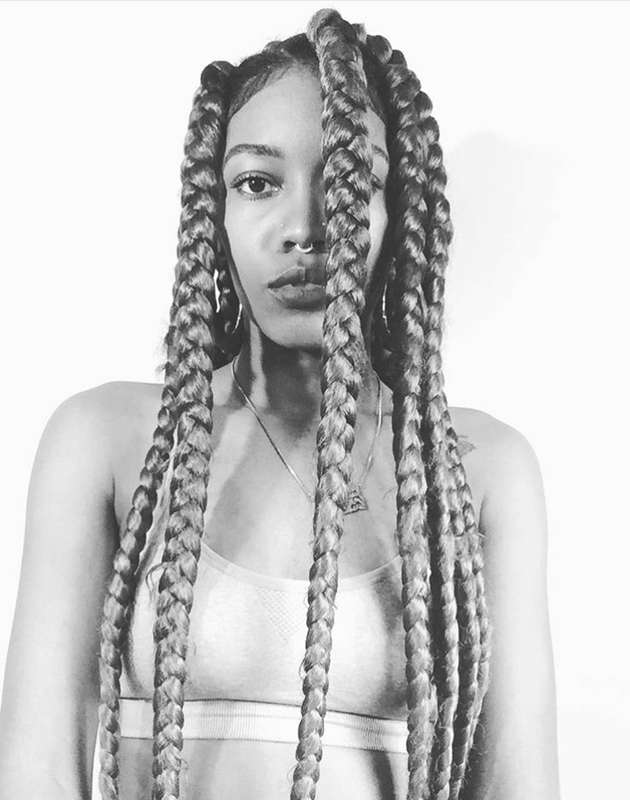 Editor’s tip: After you’ve taken your braids out, you’ll want to revive your hair with a quick spray of the TRESemmé Botanique Nourish & Replenish Hydrating Mist. 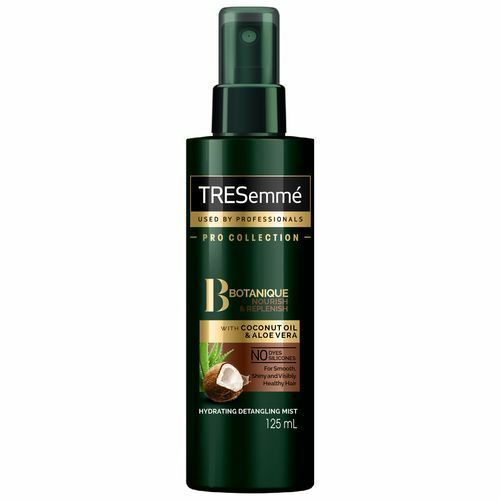 This will just help to hydrate your curls and also, smells like a tropical island. Dreamy. Have you ever thought about changing up your hair colour? The pop of colour will instantly make your tresses look more exciting and allow you to play around with different colour combos depending on the occasion, season or even just your mood! We love this street styler’s deep purple hue, it’s subtle enough not to be too wild but still bright enough to offset her monochrome outfit. With ’90s influences still making waves on recent runways, now’s a good time to dig this hairstyle out from the archives. 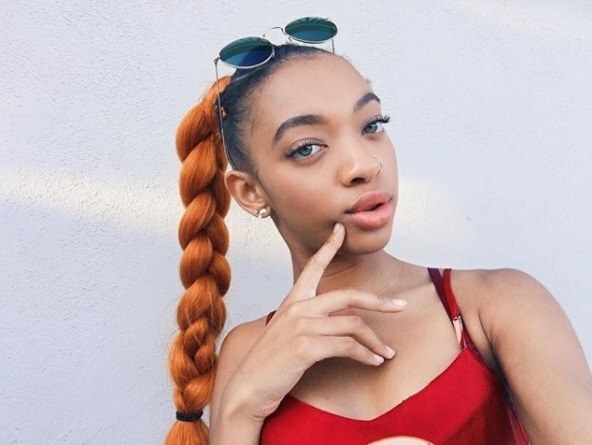 There are a couple of variations you can do: the classic, chunky dookie braids, or, if you have ultra long hair, you can go for a high ponytail and simply multi-braid it. Love them or hate them, cornrows (also known as boxer braids) are back on everyone’s radar, thanks to the Kardashians and model Karlie Kloss. 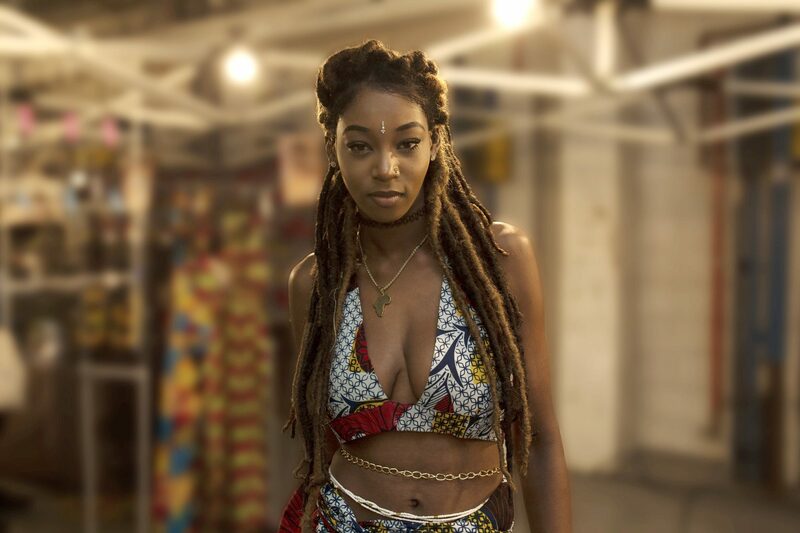 We love the variety the hairstyle offers as you can choose to wear multiple cornrows all over, or just opt for a charming 2-braid pigtail variation. It’s a cute, yet sturdy style that doubles up as both a workout-proof gym look and a chic street style look too. A classic ponytail is the epitome of a quick and simple long black hairstyle, but let’s be honest, it can be a little mundane. Enter: the side braid with a ponytail. It’s a brilliantly fresh take, plus it’s super easy to do. What could be cuter than teeny tiny buns? It’s time to start raving with these ’90s-inspired buns. 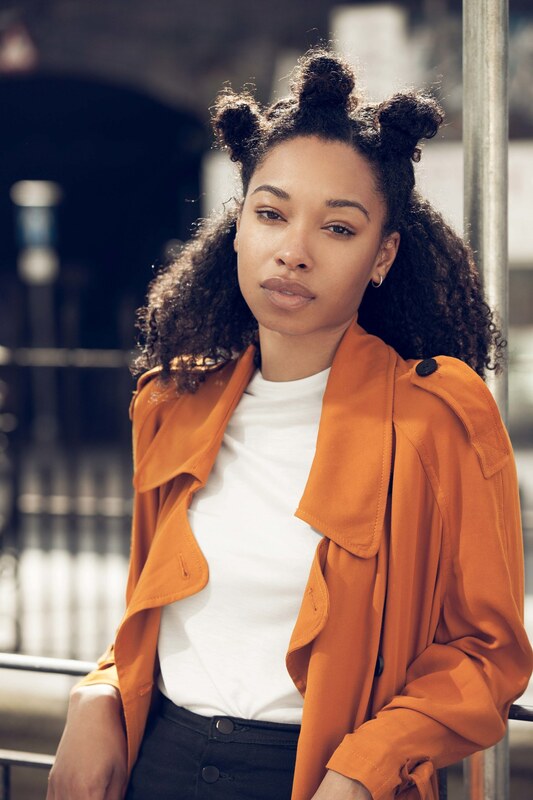 When it comes to black hairstyles for long hair, these versatile and festival-friendly mini buns are great for anyone with relaxed or natural hair, but they also look amazing on box braids and twists, too. 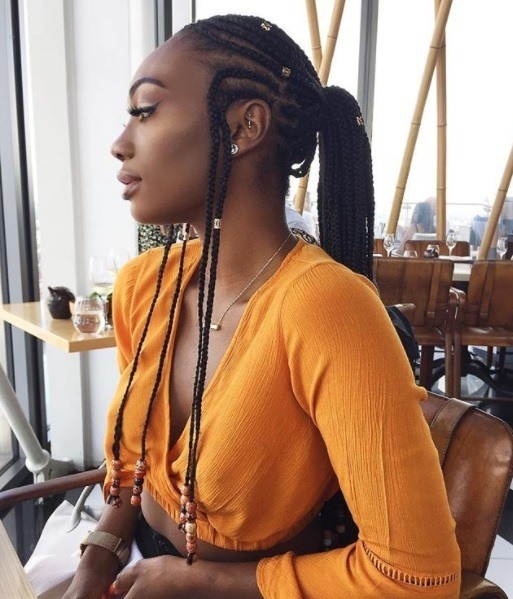 This Instagrammer’s 2-in-1 cornrows into a ponytail style is the ideal inspo for anyone who’s over their usual braids. 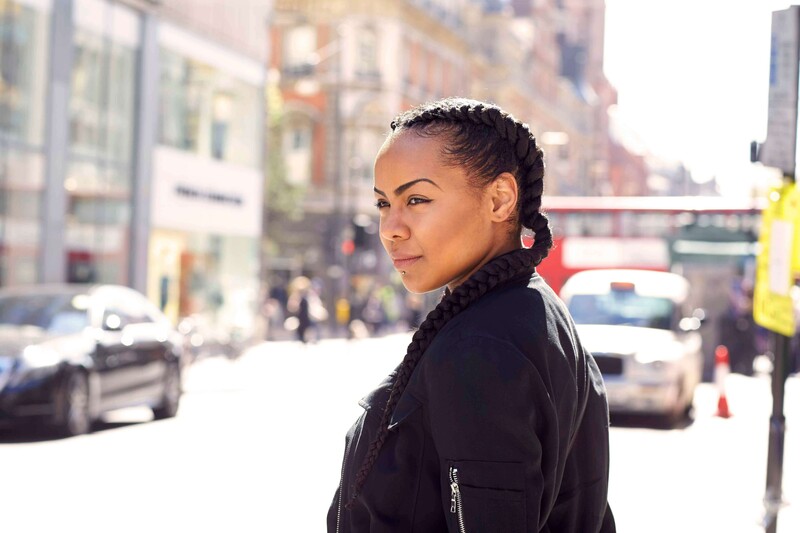 By keeping the detail at the scalp neat and intricate but the individual braids hanging loose, you’re free to play around with your lengths either in a ponytail like this or in a bun, half-up or even braided braids #braidception!